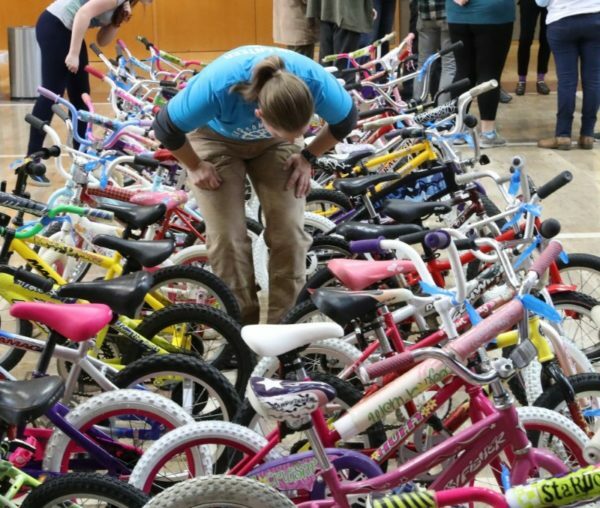 In order to meet our goals of preparing over 350 bikes to give away at the Holiday Bike Drive in December, we need more volunteers! Are you free on Tuesday nights to help prepare for the most magical day of the year? Our main entry-level volunteer shifts are Tuesday nights, 7-9pm at the shop at 1700 NE Alberta. If you are a new volunteer or returning after an absence, please start with our new volunteer orientation on the first Tuesday of each month – including next week, October 2nd. We can also use more helping hands at our Sunday Salvage volunteer shifts, as well as on our Wednesday and Thursday daytime shifts for more experienced amateur bike mechanics. To find out more, sign up for volunteer orientation here or write to matt@communitycyclingcenter.org with questions or offers!